Village of Highland– NEW WEBSITE! 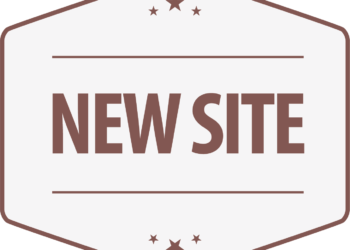 : We are pleased to announce the launch of our new website! Our goal is to provide our Village residents and visitors an easy way to access information. The user-friendly content is well organized so you can easily navigate the site to find the information you’re looking for. The website will always be up to date with current and valuable information. Please be patient with us while we are still in the process of making some improvements! Welcome to the Village of Highland, Wisconsin! Vision Statement: To improve quality of life in a beautiful, rural setting, while maintaining safety, security, cleanliness, good housing, desirable employment and educational opportunities. Highland, Wisconsin is a friendly, vibrant, rural community with 865 residents in the Town of Highland and 841 residents in the Village of Highland. It is located in the rolling hills of west-central Iowa County. Located between the Villages of Highland and Cobb, tourists are attracted to Blackhawk Lake Recreation Area, which has 150 spacious campsites, a 220-acre lake, and 2,000 acres of surrounding beauty, with opportunities for picnicking, hiking, fishing, swimming and boating. In 2003, the Village of Highland celebrated its 130th anniversary of incorporation with many festivities. The celebration was named OUR TOWN! The key objectives of this celebration were (and remains) to have fun, to acknowledge Highland as a great community and to honor active Service people. The event was a huge success. The fireworks display was so fantastic that people requested the Village to have a similar --- but smaller --- celebration on a yearly basis. In 2004 the Village of Highland celebrated OUR TOWN with a Saturday evening chicken bar-b-que, music and fireworks. The OUR TOWN celebration has become an annual event, scheduled for the fourth Saturday of July. The Highland Village Park offers over 15 acres green space, recreational activities and enjoyment for people of all ages, interests and physical abilities. The park is centrally located in the Village and is easily accessed from State Highway 80 and Park Street. Currently, the Highland Village Park offers picnicking opportunities, 4 shelter facilities, flush toilets, drinking water, horseshoe pits, volleyball courts and softball diamonds. The park also provideds 3 parking areas with access roads, handicapped accessible facilities and a large playground area. It is highly used for summer recreation ball games, league volleyball and family reunions. The Village of Highland has recently expanded its Industrial Park with over 15 acres available for industrial with some commercial mix businesses. This site also has residential lots for sale. Highland has several active community, civic and religious organizations. The American Legion Post #422, the VFW Post 9440 and the Highland Volunteer Fire Department host annual finger-licking chicken barbeques --- along with the best grilled burgers around --- and ball tournaments. The Highland Lion's Club annually hosts a fisheree at Blackhawk Lake Recreation Area. As part of the Fourth of July Celebration, the Highland Rodeo Club sponsors an annual Little Britches Rodeo for children at the rodeo grounds on Lagoon Road. Little tykes through high school participate in rodeo activities that are growing in number every year --- bull riding, calf roping, barrel and pole racing, mutton busting and tug of war. The Highland School District not only provides education for 4K to 12, but also an entertaining sports program for the Highland Community. The Highland Rescue Squad provides super-fantastic service to Highland area residents and annually host a Valentines Pancake Breakfast. 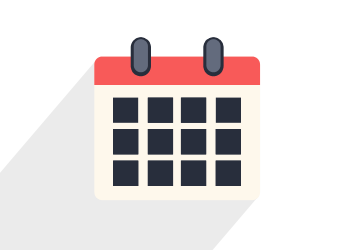 The community supports Christ Lutheran Church, First Presbyterian Church and Saints Anthony & Philip's Catholic Church, which all host annual events throughtout the year. 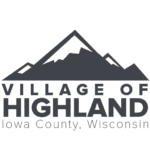 Village of Highland– NEW WEBSITE!